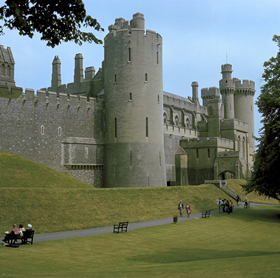 Sussex is an historic county in the South-East of England roughly corresponding to the ancient Kingdom of Sussex. 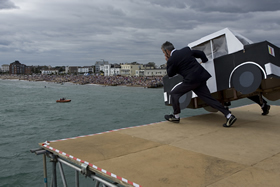 It is bounded on the north by Surrey, north-east by Kent, south by the English Channel, and west by Hampshire, and is divided for local government into West Sussex and East Sussex and the city of Brighton and Hove. 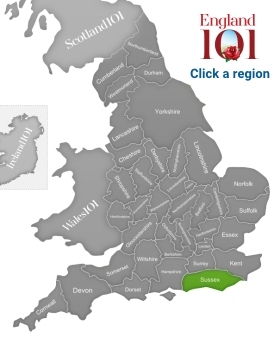 Sussex has three main geographic sub-regions, each oriented approximately east to west. In the southwest is the fertile and densely populated coastal plain. North of this are the rolling chalk hills of the South Downs, beyond which is the well-wooded Sussex Weald. East Sussex is known for its scenic beauty. Due to its geographic location, it is home to a number of breathtakingly sculpted chalkstone cliffs and a long coastline. Thus, whenever the sun comes up, weekenders flock to East Sussex in order to enjoy a taste of the sun and the sand, a taste of East Sussex’s nightlife and the enigma of its historic villages with mazes of ancient cobbled streets. Geologically, East Sussex is a part of the Southern Down-fold of the Weald Mountains. The chalkstone composition of the region has lent it a distinct beauty that is at its best at the Beachy Head of Eastbourne, where the land meets the sea. River Ouse and Cuckmere are the major constituents of the region’s drainage system. 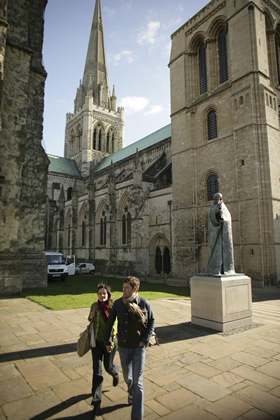 East Sussex enjoys plenty of sunshine throughout the year and has a pleasant coastal climate. 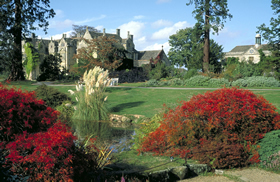 The pleasant weather at East Sussex has majorly contributed towards increasing tourism influx in the region. The county enjoys a healthy economy, with equal contribution in the manufacturing and service-based sectors. Local universities act as a great pool for talent and industry-academia interaction is encouraged. 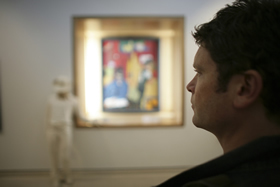 Tourism also contributes in a significant way when it comes to generating income in East Sussex. 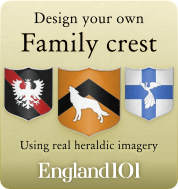 Besides its natural beauty, East Sussex has a long and glorious historic heritage to boast about. In the quaint little Medieval town of Rye, you will come across beautiful Tudor buildings, mysterious passageways and tales of enigmatic strangers. As you wander across its cobbled streets, you will wonder whether time has truly remained still in this piece of land. You can even visit the historic site of Battle, the village where William the Conqueror defeated the local Saxon King back in 1066. In the beach town of Eastbourne, you will find the Seven Sisters Park and the Beachy Head, a sight that will most likely take your breath away. Amidst the waves of the sea, you will also see a lone lighthouse rise in an almost poetic manner. 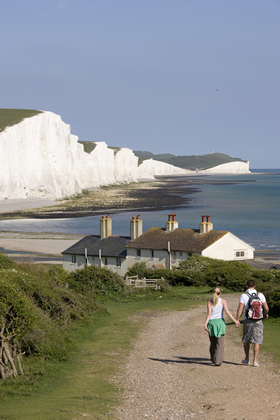 The South Downs National Park can also be explored in an off the beaten path excursion. For a taste of Sussex’s nightlife, one would have to head to Brighton. Natural beauty and an illustrious history has shaped East Sussex into what it is today and with the sea in all its glory next to quaint medieval establishments that have managed to stand the test of time, it makes for a fascinating region to visit. A couple walking at the Seven Sisters in East Sussex. The area comprises of 280 hectares of chalk cliffs, a meandering river valley and open chalk grassland. 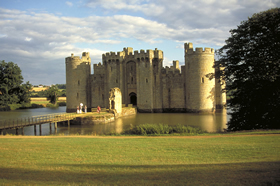 Castle and moat, Bodiam, East Sussex. 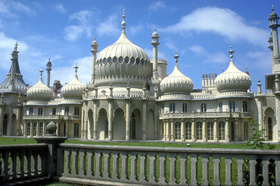 Royal pavilion, Brighton, East Sussex. 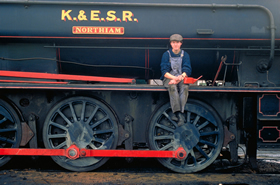 Steam Train, Kent And East Sussex Railway, Kent, England. 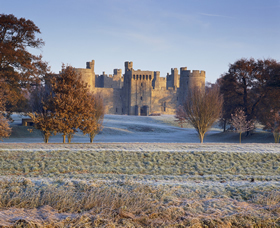 View of Bodiam Castle and grounds on a frosty morning, near Robertsbridge in East Sussex, Bodiam, East Sussex. How much do you know about Sussex ?